I dropped out of college because there is no rating or percentile on knowledge… Only the individual can be responsible for the things its mind absorbs and an institution takes time to charge its way into yours with fees debts and doors to be “free” there was always one unlocked at the end of that college walk and its open to any career you can create without fear. Why settle for restrictions when your intuition needs you to LISTEN. The time is now to see what your really about. Jump off the track and you’ll find all you lack towards becoming what you already are, an artist, healer, hustling business entrepreneur. 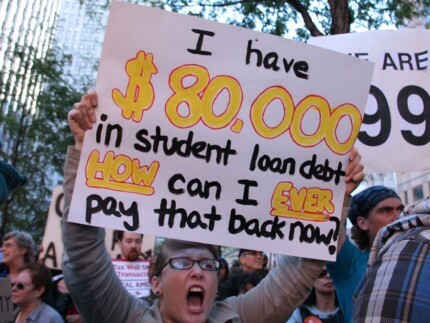 Don’t give into the debt that will leave you with nothing left but a piece of paper and a brain that’s sucked to death by idiotic standards of qualified freedom theft. *This is not to say that college or an education is completely useless… there is always more we can learn but imagine if we learned from people who are out there accomplishing those things we have in mind, there are alternative ways to seek out the same and even more original and truthful ways to learn than what the government provides. After all The US is not high in the ranks of education anyway, and our country has a long history of deceit and terrorism from those people who pull the gray veil of mass manipulation.